Kamal Patel is the Director of Examine.com, an independent research review site. 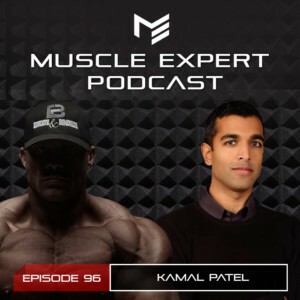 On this episode of the Muscle Expert Podcast Kamal and Ben dive deep on what makes a good supplement, how supplements and diet can influence chronic pain, why whole foods are superior to supplements and much more. 5:40- Where Kamal is finding the research that they publish on Examine. 9:30- Finding the cause of your pain. Why its important to find the root of the issue before trying to fix it. 11:40- Nutrition and pain. How your diet can be the root of your pain. 14:20- Supplements and diets that can influence pain receptors. 17:50- The amino acids to watch for pain signaling. 20:00- Nutrient timing and amino acids. 23:50- How often are studies actually useful rather than skewed. 28:50- What should people be aware of when buying supplements? 32:30- How to find out if your supplement stack can have negative reactions for your gut or liver health. 35:00- Nutrient intake and deficiencies. Why most people consume the vitamins that they need but are missing minerals. 36:45- Supplements that have the most research backing when it comes to chronic pain. 38:45- How to choose a probiotic. 43:45- Natural nootropics. Some foods that you can eat that will naturally enhance cognitive function. 47:45- Generic vs brand name meds. Are they really the same formulation? 51:35- Why multiple opinions matter. Doctors always look at a problem through the lens of their specialty and therefore may misdiagnose a problem. 52:00- Kamal’s suggestions for supplements to take. 55:00- Macro, micro and nutrient requirements. Why your requirements will vary based on your ancestry. 61:25- Glutamine and gut health. 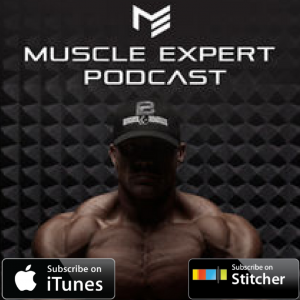 63:45- The importance of quality when it comes to supplements and bioaccumulation. 66:30- Where to find examine.com‘s 2018 fitness guide.